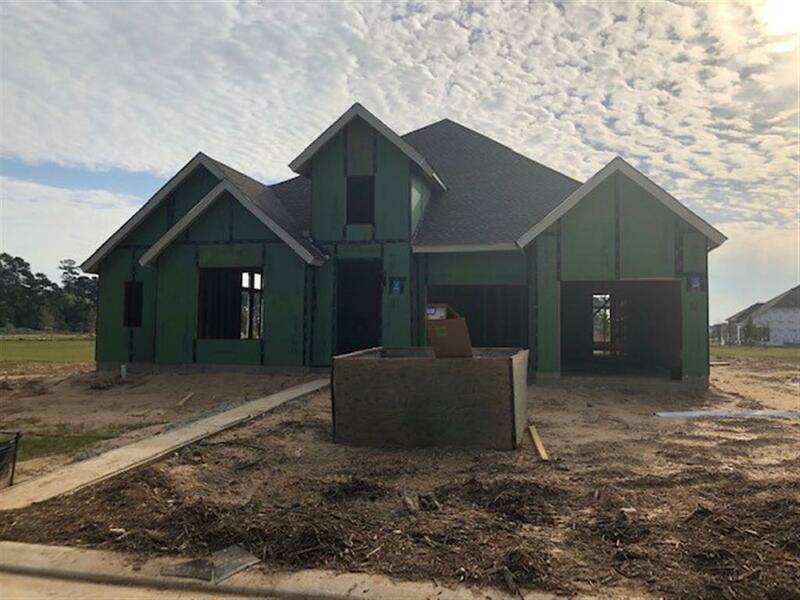 MLS# 49496247 - Built by Toll Brothers, Inc. - June completion! ~ Single story home with all the features! Lovely foyer with tray ceilings welcome you home. Two spacious bedrooms with walk-in closets at front of home with hall bath. The study boasts double door entry and cathedral ceiling. Guests will appreciate the bedroom with full bath adjacent to the private media room. The well appointed kitchen features a large walk-in pantry, butler's pantry and center island and dining space that is open to the great room with fireplace. The master has dramatic cathedral ceiling and two walk-in closets, dual vanities separated by a large soaking tub. Enjoy outdoor time on the large covered cabana overlooking the back yard. No details spared in this expertly styled home. Close proximity to major business campuses such as ExxonMobil and Anadarko. Exceptional Tomball ISD schools.